Get your FREE printable library lists! 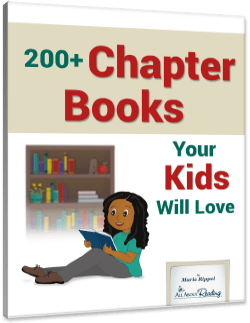 Are chapter books an important part of your child's day? Chapter books build confidence, encourage children to keep turning pages, and provide an engaging way to build reading skills through stories and characters that entertain and delight. And those are just some of the reasons that chapter books make such an enduring impact on children. 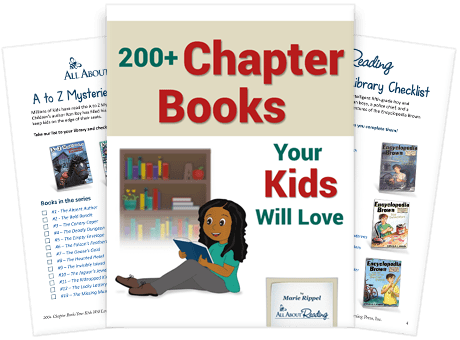 Do you have a young reader who is looking for some “great” chapter books to add to his or her reading repertoire? You’ll find 15 printable chapter book library lists in this handy download! We want to see every child become a happy and successful reader. If you have any questions about teaching your child to read, please email us at support@allaboutlearningpress.com, or call us at 715-477-1976. No question is too big or too small—we’re here to help! © All About® Learning Press, Inc.